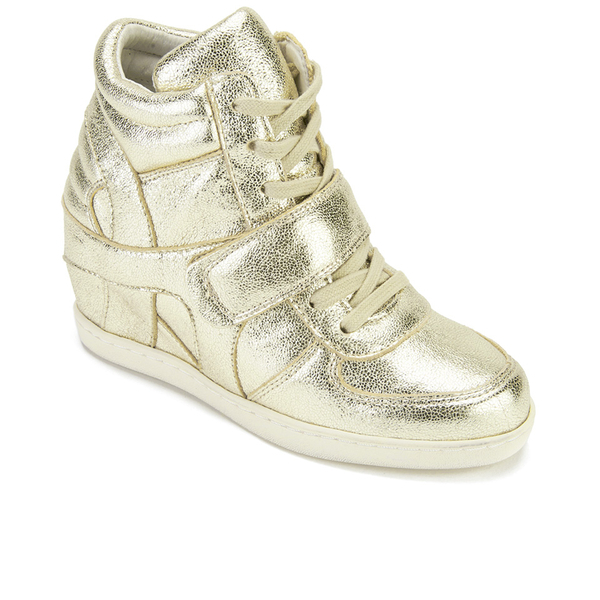 Kids' concealed wedge hi top trainers from Ash. 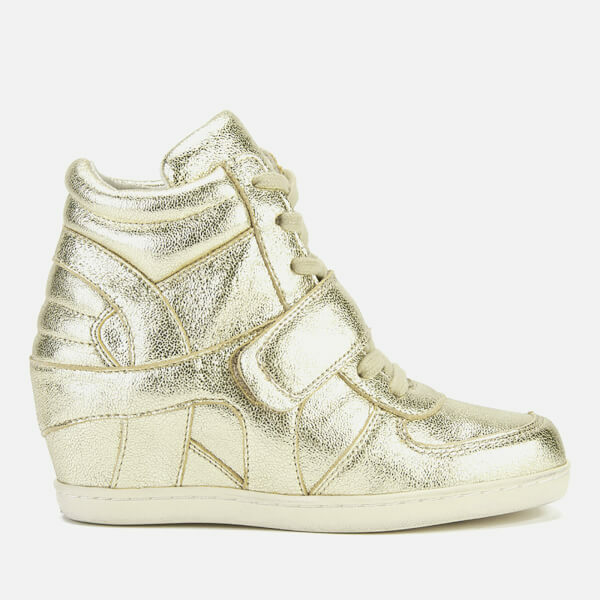 Showcasing metallic leather uppers with lace and Velcro strap fastenings, the 'Babe Metal' girls' sneakers are detailed with perforated panels and set upon a hidden wedge heel for extra height. 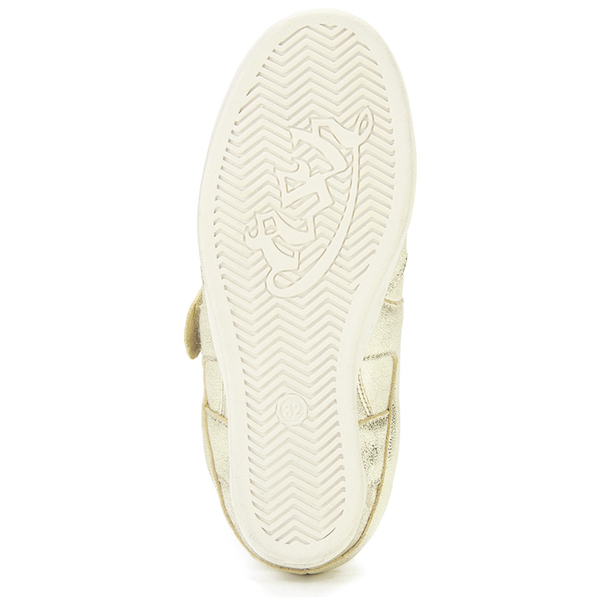 Complete with a padded collar for comfort and white rubber platform sole.